Trinitarian and Christological controversies | The Old Adam Lives! 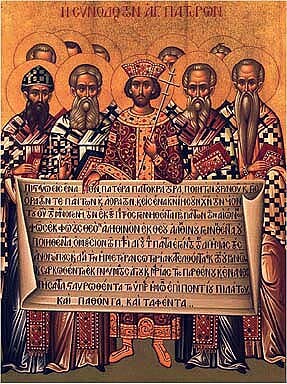 More interesting and informative background on some of the early heretical ‘isms’ that were a prelude to the Ecumenical Councils where the Creeds were formed to answer and refute them, and to set forth a proper understanding, according to these Councils. Many of these ‘isms’ are still around today within churches and in cults, where there are claims to Christianity. Pastor Mark explains the importance of a proper understanding of the Trinity and a proper Christology as it has direct bearing on our understanding of God’s saving work for sinners. Thanks also to flickr and Bachspics, for the photo of the Mormon Temple in Salt Lake City, UT.